Dr. Fred Knight has been practicing dentistry in the pass area since 1988. A graduate of Loma Linda University, he and his entire staff are dedicated to providing you with the personalized care you deserve and make every effort to reduce stress and anxiety during your visit. The foremost guideline that they have set for themselves is that "All individuals be treated safely and comfortably while they are a patient in the office". Periodontal Disease (gum disease) is the number one cause of tooth loss in adults. It is a multifactorial infectious disease that infects the gum and bone tissue of the oral cavity. Our office uses a state-of-the-art molecular biological assay that allows us to treat not only the symptoms but also the cause. In the past traditional dentistry has treated Periodontal Disease by mechanical cleansing of all areas of the oral cavity but was not able to treat the actual cause. In this case the specific bacteria that are known to cause the disease in the first place. Now using a painless, non-invasive DNA test our office is able to identify the specific bacteria causing a patient's oral infection and treat not only the symptoms in the traditional way, But the cause as well. In recent years a growing number of studies have suggested that periodontal disease and is inflammatory properties may travel to distance sites and increase the risk of heart disease, strokes and other medical problems. Also, if you are scheduled for joint replacement or cardiac surgery, your surgeon may request a dental clearance exam prior to your surgery. With this test we can provide your medical team with a detailed report listing the presence or absence of bacteria in the oral cavity that are known to have an adverse effect on your surgery and post-op recovery. With this information known ahead of time, your surgeon will be able to plan your surgery in the safest possible way. We offer several bleaching solutions for discolored teeth including a bleaching procedure following your dental cleaning. This 10 minute treatment can lighten your teeth up to two shades with minimal to no sensitivity. Dental implants have become the most advanced treatment available for replacing missing teeth, holding dentures firmly in place, and aiding in orthodontic tooth movement. Our office works with a surgical team to provide you with a state-of-the-art implant service. We specialize in the treatment and prevention of athletic injuries. See the section on sports dentistry. Have you ever wondered why some people who never brush their teeth, never get tooth decay? Modern dentistry now knows the answer. With a quick, non painful oral test it is now possible to find out your risk for tooth decay and what you can do about it. 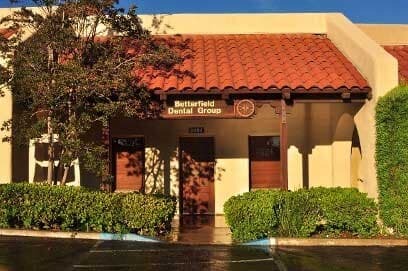 All professionals at Banning Beaumont Dentist maintain the highest levels of accreditation and pursue ongoing education to stay abreast of the latest trends in the medical field.